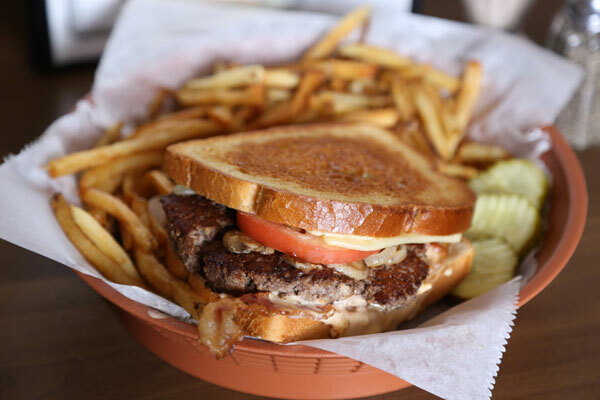 The Chuckwagon Burger, 2016 contest winner. Iowa’s carnivores are again being urged to nominate restaurants in the 2017 edition of the Iowa’s Best Burger Contest. Katie Olthoff, spokeswoman for the Iowa Cattlemen’s Association, says there are a few basic burger guidelines to which the restaurants must adhere. “We’re looking for a 100% beef patty,” Olthoff says. “We don’t want any other proteins mixed in there. None of those veggie burgers, we’re looking for a beef patty. The condiments and the toppings can be whatever you want but it does have to be served on a bread product.” The nominated burger can be gourmet or down-home style and the beef must be raised in Iowa in order to qualify. The 2016 contest winner was The Chuckwagon in the central Iowa town of Adair. This is the eighth year for the contest. Iowa may be best known for its pork and corn, but we’re also a big beef producer. “Iowa has about 3.85 million head of cattle right now and 27,000 beef producers in the state and we are 4th in the nation for the number of cattle on feed,” she says. All nominations need to be received by March 13th. There are three ways to nominate your favorite burger: online at www.iabeef.org, by texting the word “BEEF” to 313131 which will provide a link to the online voting page, or by using a paper nomination ballot which may be provided by the restaurant. The winner will be announced May 1st.